Spend time chatting with Hillary Johnson, and you get a sense of the the breadth of experiences that she’s had with photography. In this interview she talks about how one day she cold called National Geographic photographer Bill Allard, and asked him for guidance. He took her up on the request, and she learned valuable lessons from a great leader. I first heard this story as we strolled down a pedestrian street in Oaxaca, Mexico, during a weeklong workshop through PhotoXpeditions with National Geographic photographer Maggie Steber, who inspired and guided both of us. Hillary has studied with some great photographers (whose names are in bold below), and this has made her into a great teacher and mentor herself. In the week that I studied with her, I learned from both her and Maggie. 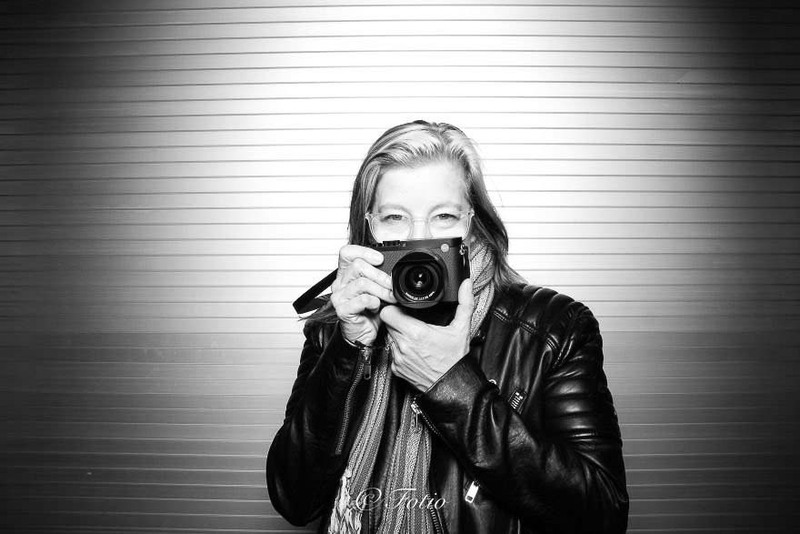 In the below interview, you’ll read of the advice that she’s given me about slowing down, about becoming an interdisciplinary photographer, and what she is working on now to help future generations. Bryn: When we were talking before, you talked to me about how you first got into photography. Do you want to start with that? Hillary: Yeah, the brief preamble is sort of like this: We get a seed planted when we are very young, and maybe we don’t realize what it is, but that can be a beginning. That’s how it was for me, but I can only see this in retrospect. When I was really little, I had access to cameras and was always making pictures. And a lot of it was Poloroid and stuff. That is sort of where it began. Then, when I was in college, I was studying philosophy, but I was at an arts school, at SUNY Purchase, and I had an opportunity to study there in the photography department with amazing, amazing people like Jed Devine, Jan Groover, and Janet Borden and so forth. Since philosophy for me wasn’t really a career option, when I graduated I thought, well, now I’m just going to do photography. So, I went to Boston not long after that and met other photographers who were shooting in the street and so forth. That got me into shooting street photography. I started to learn about the business and how there were all these different kinds of directions you could take and I started working as an assistant for all different shooters; fashion, food, editorial, everything And that was a great education. But I loved shooting in the street. And then I had a photographer friend who said, “Oh did you know you can sell these to the wire services.” And I was like, Well, that’s really cool. So, the very first photo that I sold ever was to the Associated Press (AP) the Chinese New Year in 1987, I think. Bryn: That is very cool! Could you talk about what other kinds of opportunities you’ve had as a photographer? Hillary: Sure, photography, like doing news photography, after selling that first picture, I then ended up working for the Boston Globe for a long time as a freelancer. And then other wire services, and later when I went to NYC I worked for newspapers and services that I’d been in awe of my whole life. To be part of all that was amazing. It gives you opportunities to go do things, that maybe you wouldn’t ordinarily do just on your own. But then, also, once you start getting published at all, then people will call you and ask you to go photograph things that you wouldn’t normally necessarily have access to, which is huge! So, if you’re interested in music, then go shoot a bunch of it, and bring those pictures to somebody, and eventually you’ll start getting assignments. It’s kind of like what Maggie [Steber] told us down in Mexico. You need to have projects, then if you put them in front of people, eventually the assignments will come. People really do want to see and publish and show good work. You really have to be disciplined to keep going and just persevere. This is a marathon, not a sprint. So, I think I had a lot of opportunities to get access to people and events and things that I wouldn’t have had access to otherwise. I worked at the United Nations, which led me to so many opportunities. I mean, I went to Berlin to cover the Berlin Wall coming down. And I never would have done that if it hadn’t been for photography. To be where history is taking place is beyond description, especially when it’s a change for the better. Hillary: Yeah, it was incredible! Because I was like, Oh my gosh, this huge thing is happening, I don’t even know what it means, because I was young still. But to have access to that! And, for a while, I worked at the United Nations with a photographer there who was the UN photographer in New York who took me under his wing, and so he gave me opportunities. Again, it was about access. Like, Oh, here’s what’s going on here, so I could go to the wire service and be like, I’m going to cover the UN general assembly. Which were leaders from all over the world come to talk about stuff, and so, I have access to this. There were things like that. The more I did, the more I felt like I had license to do. And so, when I really wanted to do something, I had the courage to push. Bryn: I love that point! So, you’ve talked about several things that younger photographers could keep in mind, and I think that you’ve given some really good pieces of advice, is there any other advice that you would give a young photographer who is looking to become more professional? Hillary: Yes, I would say, if you are young and starting out, in terms of gear, keep it really simple. You know, if it was good enough for Cartier-Bresson, for example, or Martine Franck, to have a single camera, with a single lens, then a good photograph isn’t about your gear. You don’t need to dump a lot of money into gear. Just get a simple thing that works well, and stick with it and learn how to make brilliant pictures with that simple device. It doesn’t matter. The image is going to be fabulous whether using an oatmeal box lined with black paper on the outside and a pinhole, and a piece of photographic paper on the inside, it’s not the machine, it’s the eye and the heart of a the person. Figuring out what you’re passionate about, and being empathetic, and getting your ego out of the way are big things. But then, thinking about what you really want. The market will pressure you to do certain things, and you have to figure out what you really want to do with your eye and your heart and your talent. And, don’t go do something just because someone like, Oh, someone’s going to pay me $125 to do this. Do the thing, go after the thing, explore what your passions are, and keep going after that. And say “no” to things that might seem awesome, but they won’t be awesome if they are not really in support of your own vision and your own dream. If it feels like, if it’s not an “awesome yes”, then it has to be a “no”. I wish that I had learned that when I was younger. It can be difficult to say no. Like, I recently turned down an opportunity to work with a photographer, who I don’t want to name, but I said no, because all I could hear was Maggie [Steber] saying, throw off your cloak of sadness, go do your own work. I think that especially for young women photographers, you have to listen to what is really calling on you. And go after that. And be open to explore what it’s going to be, and not let yourself be pulled or pushed into doing something that is not true for you. Bryn: When we were in Mexico, you talked to me about how this one person you were giving private lessons to, instead of having him look at the camera first, you had him take a step back, and look at perspective from a drawing standpoint. Can you talk about how that can help understanding principles of design from a larger visual artistic standpoint? How can somebody be a better photographer with whatever kind of camera, be it their cell phone or an older camera, how can that help them in their photography? Hillary: Yeah, yeah. Or even if they have the latest device, right? It’s not even about being a photographer. But a photographer as a kind of visual maker. And that, especially today where, because of the cell phone, and digital everything, it could be so like quick, quick, quick, that it’s important to take time to educate your eye and to, even if you couldn’t necessarily articulate what the principles of design are, or anything like that, you don’t have to necessarily go, well, go to art school. Having that training would be very valuable. But at least having some exposure to looking at great work, in the same way a writer will look at great works in literature, and try to unpack how did this person make me laugh and cry throughout this non-fiction piece, or this novel, or the short story. And so, we become more aware of what we’re doing. And more aware of what’s the impulse driving that desire to make an image. And what is it saying about us? And what is it saying about the things that we’re looking at? And being mindful to not just turn things into objects where for our consumption. To really be deliberate and intentional with Oh, here’s what it is. Let me explore this. So that, when you finally do have a camera in your hands, especially if you’re photographing people, thinking about This is not an object, this is a human being whose life I’m asking to engage with. So that there’s a sense of ethics around picture making. Bryn: It seems like you have studied with some great photographers who have taught you a lot. And you seem very appreciative of what you’ve learned from these other great photographers. I think that if you could say who you respect and admire in the photographer world, and why, I think that would help people who are going to read this interview know where to look next if they like what you are saying and if they want to learn more. Hillary: Yeah. I think that looking at the history of photography is a really important thing. And looking at lots and lots of pictures is so important. I’ve been very fortunate in being able to study with some people when I was in college, and then having mentors later, and then, most recently in Mexico. But I think that when I was in college, Jed Devine is an amazing photographer. One of the things he says is, the light falls equally on everything. And it’s open permission for looking at everything as a potential subject, and seeing the beauty there. Jan Groover was very famous for doing these still lives in the kitchen. And she did some abstract work. But she saw the beauty in the mundane, you know, just really lovely. And Janet Borden, who ran a gallery in New York, and was very important in the ‘80’s photography art scene, had me photographing ugly things. She was like, you can make pretty pictures, we all know that. Now go make something amazing out of something really ugly. She really challenged me to look at that. I went to Bill Allard, William Albert Allard, at National Geographic, who didn’t know me from a hole in the wall. I called him up one day, and was like Hi, you don’t know me, but here’s who I am, and I love your work, and this is my story. And he invited me, incredibly generously, to come meet him in Washington. And he said bring your pictures, and I was like Which ones? And he said, Bring it all. And I learned so much from him. And a lot of it was photographic, but as I think about it now, it was really about a generosity. Like, you really have to keep helping other people, and other photographers, and other young people who want to make pictures. That was a really life changing relationship, to be given a positive regard from someone like that, who had been photographing since I was born. You know, then recently on this trip with PhotoXpeditions with Maggie Steber, who is someone I’ve just been in awe of forever, to just be sitting in the same room with her, made me just want to weep with happiness. And she really helped me shift direction and take my own work seriously again in a way that I hadn’t felt the courage or strength. So, I think that for anyone who is interested, you have to feel like there are amazing people out teaching workshops. It’s very hard to make a living as a documentary photographer, as a photographer of any kind, maybe, and the people who are doing this very pure work are out there are also teaching. Bryn: This has been an awesome interview! You’ve touched on so many aspects of photography that you brought into the conversation. And you referred to so many resources for other people to look into if they want to know more information, and then you’ve really talked about the kinds of opportunities that you can have if you want to pursue photography. It’s been really interesting hearing your journey and all that you’ve been working on. Hillary: Thank you. Yeah, I think photography is an incredible tool as an art for connection and the potential for social change. Because people can feel real emotions when they see things, and that will encourage them to do things and take action, and change their thinking, and that’s incredibly, incredibly important. So, thank you for the opportunity to talk about all that. As you can see from this interview, Hillary knows so much about making photos and the power of photography. 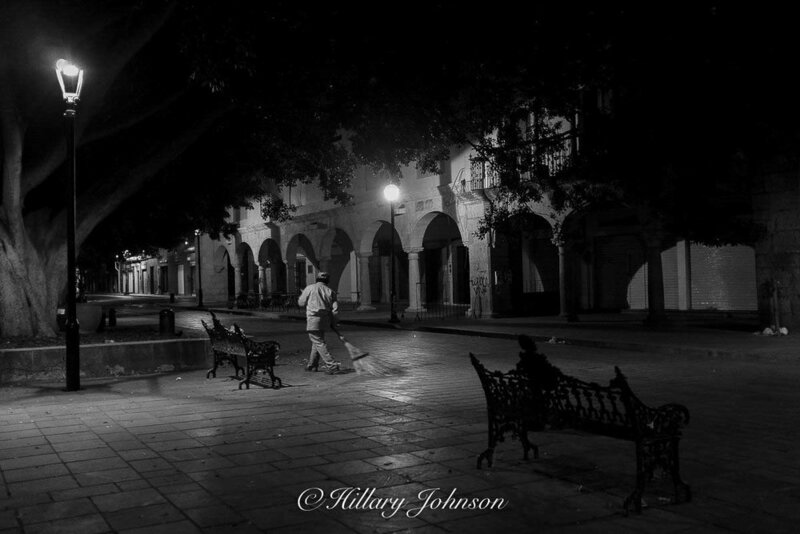 Be sure to follow Hillary Johnson's blog at www.hilllaryjohnsonphotographer.com.